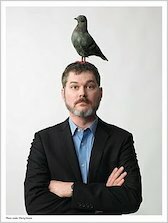 New York Times Bestseller Mo Willems began his career as a writer and animator for PBS’ Sesame Street, where he garnered 6 Emmy Awards for his writing. During his nine seasons at Sesame Street, Mo also served as a weekly commentator for BBC Radio and created two animated series, Nickelodeon’s The Off-Beats and Cartoon Network’s Sheep in the Big City. While serving as head writer for Cartoon Network’s #1 rated show, Codename: Kids Next Door, Mo began writing and drawing books for children. His debut effort, Don’t Let the Pigeon Drive the Bus! became a New York Times Bestseller and was awarded a Caldecott Honor in 2004. 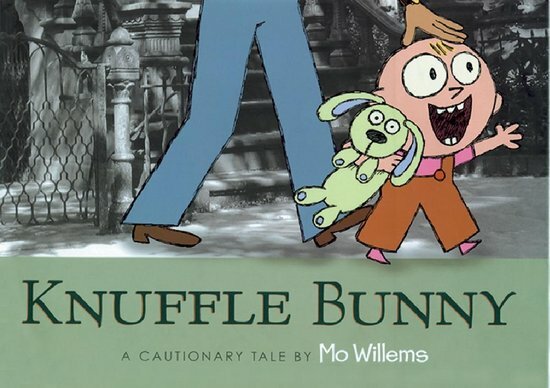 The following year Knuffle Bunny: a Cautionary Tale was awarded a Caldecott Honor. The sequel, Knuffle Bunny Too: a Case of Mistaken Identity garnered Mo his third Caldecott Honor in 2008. In addition to picture books, Mo created the Elephant and Piggie books, a series of “Easy Readers”, which were awarded the Theodor Suess Geisel Medal in 2008 and 2009 and a Geisel Honor in 2011. For older audiences he has published an illustrated memoir of his year-long trip around the world in 1990-91 entitled You Can Never Find a Rickshaw When it Monsoons. Mo’s drawings, wire sculptures, and ceramics (done in collaboration with his father) have exhibited in numerous galleries and museums across the nation and his graphic story about his family experiences during 9-11 for DC comics resides in the Library of Congress’ permanent collection. Mo has been heard on NPR’s All Things Considered where he occasionally serves as the broadcast’s ‘Radio Cartoonist’. While no longer working in television, Mo voices and produces animated cartoons based on his books with Weston Woods studios. Mo lives in Massachusetts with his family.